The Goldie Awards is a DJ and beatmaker competition pitting the world’s most talented performers head-to-head, spanning an array of genres, sounds, and styles. The competition, started by Fool’s Gold head honcho and DJ battle legend A-Trak, returns for its second year. The contest, split into the two categories of DJ Battle and Beat Battle, will select eight contestants in each category who can enter via video submission. A tenet of the Beat Battle involves all contestants flipping the same sample, during the first round of the live battle (taking place on November 8th at Brooklyn Steel). Splice is thrilled to announce that we’ll be providing the sample for the Beat Battle in this year’s competition. 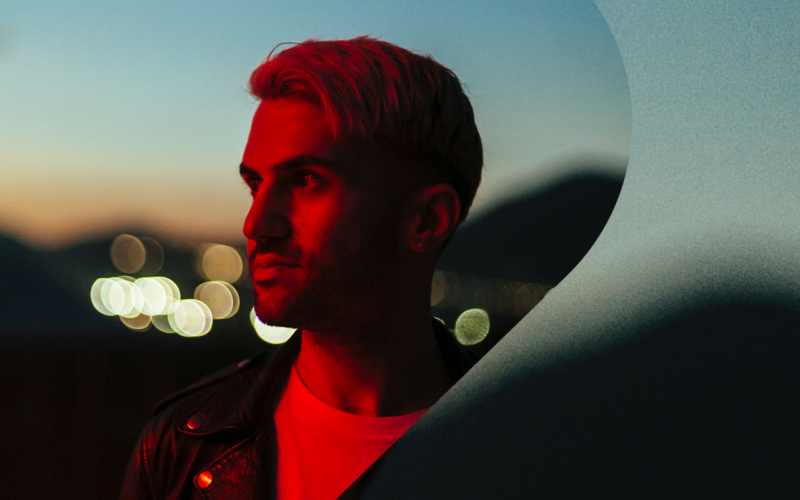 We sat down with A-Trak himself to talk about this year’s Goldie Awards, what he’s looking forward to seeing, and creating opportunities for the next generation of DJs. The deadline for submissions is this Sunday, September 30th at 11:59 pm PST, so calling all of you beat-makers, producers, and DJs looking for an opportunity to show off your skills – be sure to enter by clicking here. And if you’re just a fan, tickets for the live show are available here. You started your career in DJ competitions, and now you’re hosting your own. Can you tell us about the inspiration behind starting the Goldie Awards and opening up opportunities for new artists? Can you speak to your decision to pay it forward with these new generations of artists, and what mentorship and experiences like these mean for you? That’s exactly right, and all this is so important to me. When I won my first battles, when I became world champion at 15, there was enough awareness around those competitions that people around the world heard about it. It was enough to kickstart my career. The scene as a whole was smaller, but it reverberated more. Also, a lot of the DJs that I looked up to gave me huge opportunities as well. People like Qbert, Roc Raida (RIP), Babu – those guys really changed my life. The idea to start Goldie Awards came to me when I realized that even though DJing is bigger than ever now, DJs with skills don’t get enough exposure. Most fans of DJing don’t know about battles at all and very few DJs share opportunities because the scene has become so cutthroat. So the idea was: now that DJing is more popular than ever, let’s create the battle that represents this current era. You’ve watched the art of both DJing and electronic music progress and take on many different styles, forms, and evolutions. What surprised you most about last year’s event, from the build-up and ideation to the final execution and seeing all of those artists perform – were there any live setups and incorporations of equipment that blew you away? With the art continuing to evolve, what do you see as the next unexplored frontier in electronic live performance? What do you anticipate for what’s new in this year’s Goldie Awards? I’d say the biggest surprise from last year (which was our first event) was just how wide the spectrum of styles was. When you’d watch a battle in the 90s, most contestants had similar styles, and maybe two or three stood out. At the Goldies last year, literally everyone had their own style. Also, I loved seeing how engaged the crowd was. For so many people it was their first time attending a battle, and the thing everyone kept saying after was how much fun they had watching it all go down. A bunch of live setups blew me away. Guys like MSCLS and Brace had very elaborate setups. I think as time goes on there’s less and less of a standard for equipment – we’re just going to continue seeing more and more people customize their gear and let their ideas guide them. One criteria for the Beat Challenge is flipping one common sample – this year, contestants will get first access to the Beat Battle sample right here on Splice. In what interesting ways did you hear contestants in last year’s Goldie Awards incorporate the same sample throughout their different styles? The idea of asking all the contestants in the Beat Battle to use the same sample in one of the rounds was a bit of a leap. I was crossing my fingers hoping that a bunch of them would integrate it in different styles, tempos, time signatures, and genres. I was just happy that it worked out that way! One of the challenges for the Beat Battle is that a lot of producers can have one good beat, or a style that’s their comfort zone. The series of rounds is meant to prove whether they’re versatile. Goldie Awards is creating opportunities for this new class of creators, from spreading their work across social media with this video submission process all the way to providing the chance for them to perform onstage. What advice do you have for budding producers, beatmakers, and DJs who are looking to catch their first break? What kept you going when you were just starting out? I think nowadays you need to tick a few boxes to really get noticed. Being original is more important than ever, because so many people are doing the same style. But making sure your work sounds right and is presented right can sometimes make-or-break an opportunity. I also think it really helps to find a few like-minded artists or producers and to be a part of a community. It’s great to get constructive feedback. Sometimes even filming or recording a performance just for yourself to watch or listen back to can be super useful.